Remember the craze over MAC's Strobe Cream? Well, that's how I felt about this primer as I was buying it - to add a natural and radiant glow to my skin. 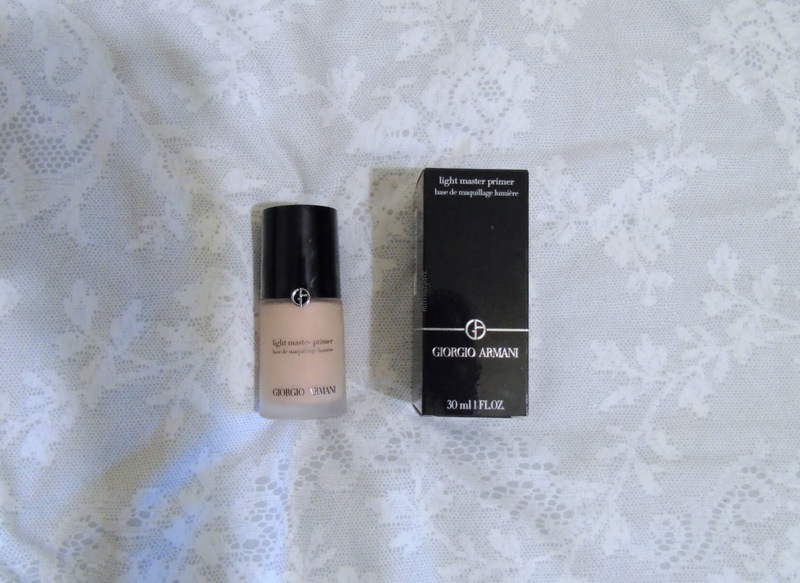 I had also bought the Giorgio Armani Luminous Silk foundation (read my review here), so I thought it'd be best to get the 'matching' primer and try both out! 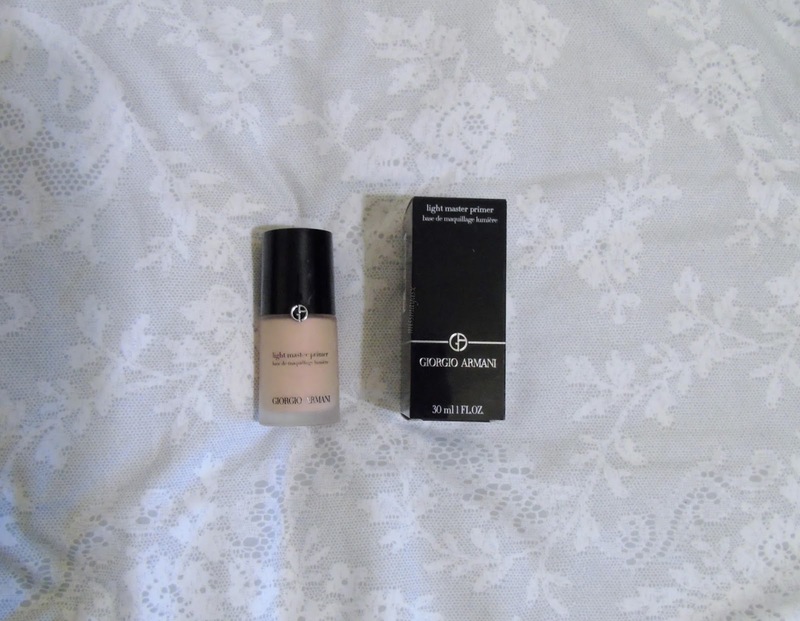 The Giorgio Armani Light Master Primer sounds like the perfect match for the Luminous Silk foundation, even though my skin gets quite oily throughout the day in my T-zone, I still decided to buy it and try it out as I love their products. I love love love the packaging. It looks and feels expensive - probably because it bloody was hahaha. The bottle is rather big so you get a lot of product for your money. The consistency is quite thick. I expected it to be slightly more like a liquid highlighter but I'm kind of glad it's thicker because it shows that it's supposed to work as an illuminating primer, rather than a liquid highlight. I was confused at first and didn't know whether to apply it all over my face or to the high points of it. Then after trying it out a few times - each time being different, I decided to apply it to places where my face is quite dull and needs a little bit of shine. I came to conclusion that this primer is great for illuminating dull skin, however I don't think it helps my makeup stay on longer like a proper primer should... I'd say try it out for yourself, but there are many great dupes which are much more affordable, such as the L'oreal Lumi Magique Primer. Have you tried the Light Master Primer? If so, what did you think of it?